I was lucky enough to get some samples of Tierra Nueva Cocoa chocolates a while back. Tierra Nueva is a local, Miami chocolatier that makes all sorts of chocolate goodies. They are the people behind Hamlet Chocolates, Origins Supreme chocolates and their most recent creation, Coffee Thins. 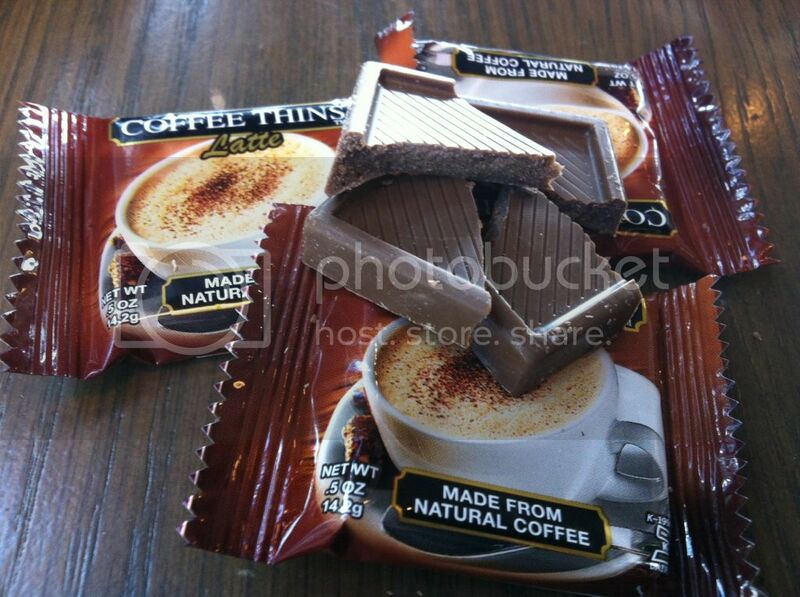 First up, I'll cover their new Coffee Thins. They come in three different flavors, Latte, American and Espresso (my personal favorite. At first site, these little squares look, feel and taste like chocolate, but you'd be wrong. They are actually made of coffee paste and have as much 100mg of caffeine (about as much as one cup of coffee). THERE IS NO CHOCOLATE IN THESE THINGS! The latte flavor has a very milky flavor with a light coffee taste., reminded me a lot of milk chocolate. The Espresso flavor was my personal favorite, with it's rich coffee flavor and dark color. It reminded me the most of a rich dark chocolate. After trying all three of these (and having consumed the equivalent of three cups of coffee) I definitely had a ton of energy to burn. 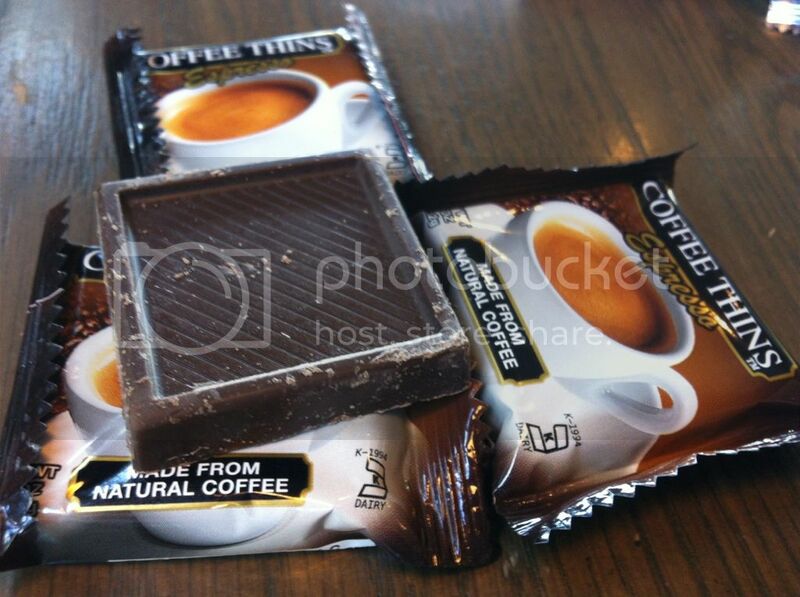 I will mention that all three of the coffee thin flavors leave a slightly oily feeling in your mouth. Not entirely sure if this is intentional, but everyone I shared my Coffee Thin stash with had the same experience. 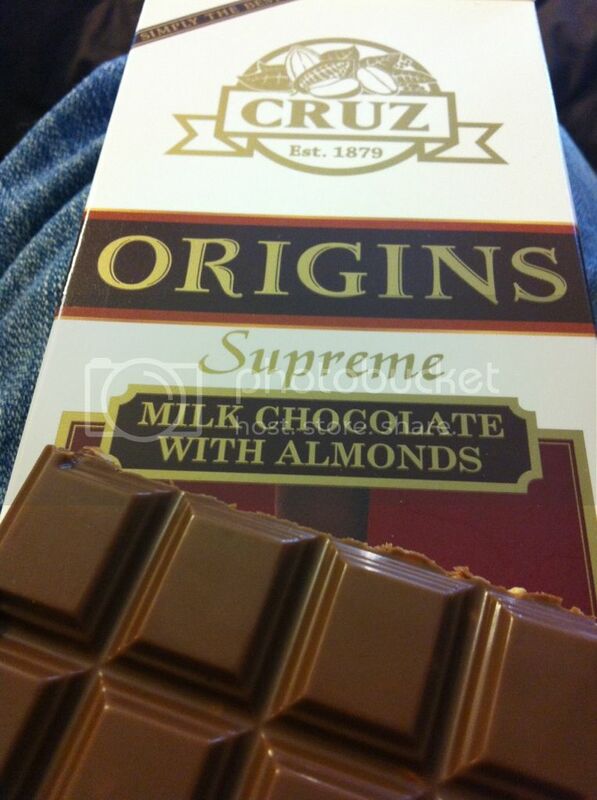 Up next, I tried the Origins Supreme line, which seems as if it is their high-end chocolate line. This was by far my favorite line. Every flavor was delicious, especially their Dark Chocolate with Orange Flavor. Their milk and dark chocolate was very reminiscent of Godiva chocolate. So if you're a fan of Godiva, definite check out the Origins Supreme line from Tierra Nueva Cocoa. Last but not least, is Tierra Nueva Cocoa's Hamlet chocolate line. 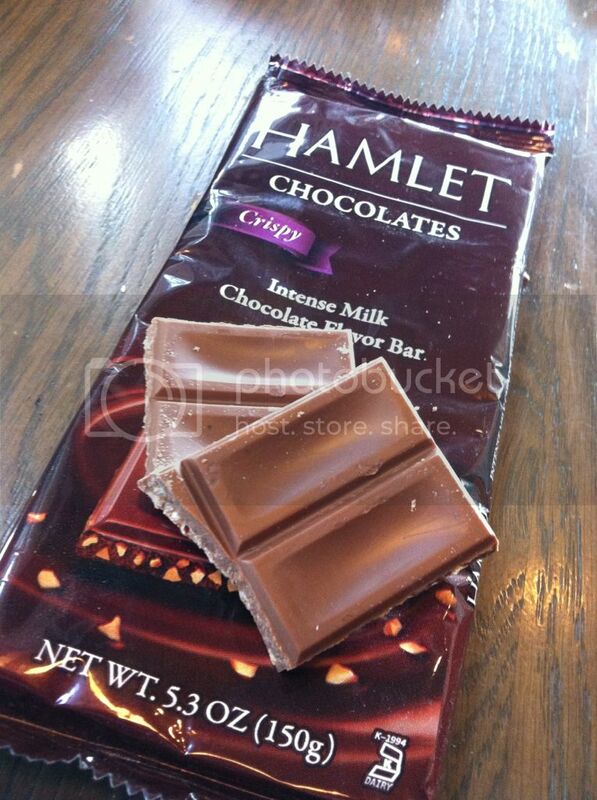 You'll notice that all of the Hamlet bars say, “Chocolate Flavor Bar,” which definitely left me scratching my head. This line is made of compounded chocolate which is actually a combination of cocoa, vegetable fat and sweeteners instead of regular cocoa butter like most other chocolates. Unfortunately, these were my least favorite of the line up, as they have a slightly peculiar after taste. If you're interested in checking out any of these chocolates or their Coffee Thins, head on over to Navarro, Sedano's, local independent gas stations, various local liquor stores, Circle K or your local Winn-Dixie. 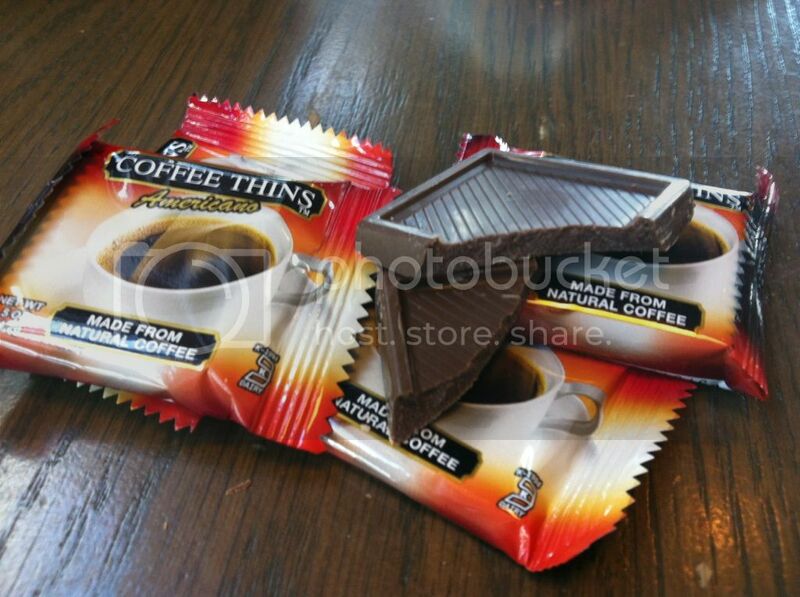 If you're an FIU or St Thomas law student, head on over to your library where these Coffee Thins are available to help you stay awake during you're all-night cram sessions.